Put Your Brain To Work On This One! Saw this one out on Facebook and thought we'd share it with you. It just shows how amazing and adaptable the human brain is. 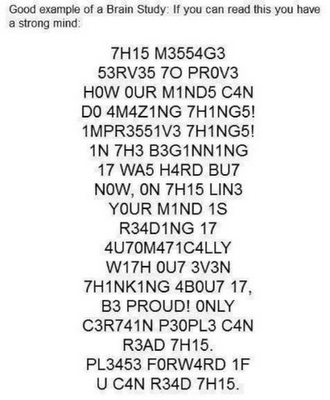 After just a few lines your brain will instantly convert the numers to letters and you should be able to easily read it. Very cool!